﻿ 5 Manufacturing Automation Flaws - How Do You Cope? Awareness of common manufacturing automation flaws, and the process changes required to correct them, allows manufacturers to make the most of automated systems, without the common “growing pains” that can accompany these types of changes. Automated systems are expected to improve the efficiency and safety in a working environment, and those expectations are reasonable. It is important, however, that managers do not under-compensate in light of improved systems. It is important to work with a Manufacturing Automation company that will take the time to visit your workspace, meet with your team, and design a system especially for your needs. Your company may do the same kind of work as a dozen others, but your space and your team are unique. This is an accepted industry practice, as most of these companies design equipment that works in a variety of situations (pick and place, palletizing, packing, etc), but that must be adapted to specific situations. 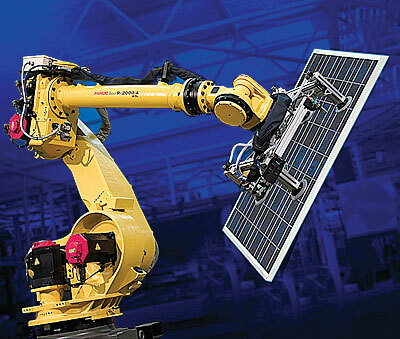 For instance, a base robot model may serve in a pick and place operation, but can require different end effectors, or even a multi-effector tool that allows the robot to execute multiple functions on varying loads. Vision systems and software may be entirely different. For that level of detail, you’ll need the advice of professionals. Further, your company – with your space, processes, and your team – may not always operate the same from one season to the next. Adaptability is a key feature, and it must be integrated into systems, in particular if there are seasonal changes, or manufacturing process variations. Poor planning and installation, to save time and/or money, will end up costing you more of both in the long run. While automation is typically designed to handle higher volumes, valleys, changes, and variations should be considered in the process. Also, while automated systems are typically integrated with the entire operation, this isn’t always the case. “Islands” of automation frequently exist – and work well – in an otherwise manual operation. You must consider how those areas will work with the rest of the plant. Automated systems frequently make work easier on employees, but people will always need thorough training, and periodic re-training, on the new equipment. Change is rarely comfortable, and particularly for people who have been executing a manual process for years. Employees may be reassigned or even reduced in the face of automation. The ways they interface with newer systems is critical to successful manufacturing operations. You should present the automated systems – whether the whole system is new, or it is just an upgrade – as a promotion to a completely new job for the employee. There is new equipment, new processes, and new safety concerns. Employees may not embrace change easily, until they see that the changes are a benefit to them. Managers and leaders who emphasize the “ease” of the automated systems over the “newness” of them often create an environment of carelessness that can result in safety hazards and manufacturing errors. This can create an environment of hostility among line workers, and even the potential for sabotage. Getting people trained is critical. They should understand that the automation helps keep plants open and helps their company become more profitable. The efficiency of automated systems is often taken for granted, and maintenance ignored until a problem arises. Given the expense of robotics and other types of automation, the cost of planned maintenance is trivial. On the other hand, proper maintenance and regular inspection can make a good system a great system with a long and useful operating life. The bottom line is that maintenance is sometimes neglected in the rush of everyday business, and it’s a key factor in both system longevity and proper daily operation. Automated systems do a job or a series of them quickly and flawlessly. They’re ideal for executing high-volume, repetitive tasks. They have the advantage of consistency – some might say relentless consistency. This is ideal until an operating exception comes into play : a foreign object enters the system, an employee accidentally crosses a safety barrier, an error up the line contaminates the process, etc. Automated systems cannot always detect a problem and respond to it as quickly and intelligently as a human worker would. When you consider this flaw, you’re actually comparing the imagination of a person to a machine’s lack of it. A well-programmed automated system can detect flaws — they can do things like pick red tomatoes of a specific size and leave those that have spotting or of the wrong size; they can re-orient incorrectly positioned loads, etc — but they cannot conceive of a systematic solution. A line worker or shift foreman can see a better way, where that efficient robot cannot. Part of the tradeoff when it comes to automation has always been the balance between intelligent responses and relentless efficiency. Even tailor-made automation systems need periodic updating and improvement as processes change or unforeseen considerations obstruct the operation. Human workers can quickly assess a break-down in the process, and alter procedures to maximize efficiency. Robotics, on the other hand, can’t critically analyze situations and recommend changes. They need to be reprogrammed when things evolve or change. People can adapt on the fly and provide management with input that can fix the situation. Robots can’t do that. They can provide data that allows you to make decisions, but they can’t tell you simple ways to improve a process that a line worker can. That key goes back to the user. When a system has been properly designed and installed, and employees adequately trained and empowered to use the system, the human factor and the automated factor work together to constantly improve each other for the benefit of the company and its customers. Workers can still provide the kind of thoughtful input that data can’t. While error rates are a trackable item, the reason for those rates may be unclear. A shift foreman or assembly worker may be able to tell you what the issue is, where a WMS/WCS can only provide data. Using both data and the creativity of your workforce allows you to automate at optimal levels and achieve a better return on investment when it comes to automation. 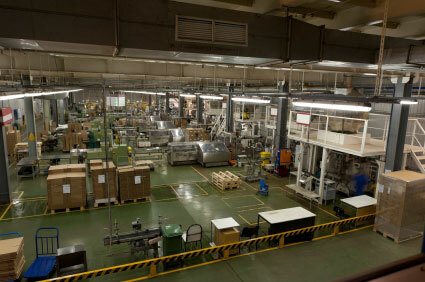 Manufacturing Automation offers a myriad of benefits to any company and workspace. Increased efficiency and safety are two key benefits of these systems. While both of those factors can be placed at risk if common flaws remain unanswered, but both will steadily improve when a few common flaws are addressed.